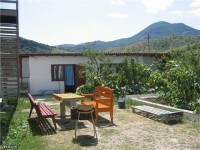 Nice View; Balcony; Terrace; Fully Equipped Kitchen with Fridge, Stove, Dishes Crockery & Utensils; Wi-Fi Internet Access; Iron/ironing board; Car Parking Lot; Common Area; Gardens/ Outdoor Guest Area with BBQ grill, Sport Tools; Quiet Neighbourhood; Sailing Nearby; Fishing Nearby; Walk to the Mountains; Beach Nearby. Furniture, Carpets, Blackout Drapes/Curtains, Television, Linen and Towels. 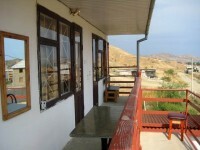 The Holiday House is located on the outskirts of the vacation resort of Koktebel, at the foot of Kara-Dag (Black Mountain). 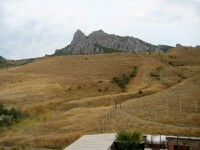 The Kara-Dag natural reserve spreads right behind the house. 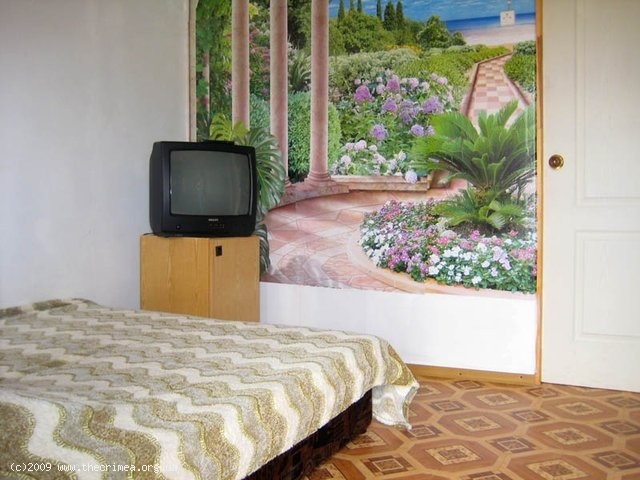 This is one of the most scenic places in Crimea, away from crowds, noise and hassle of big cities. 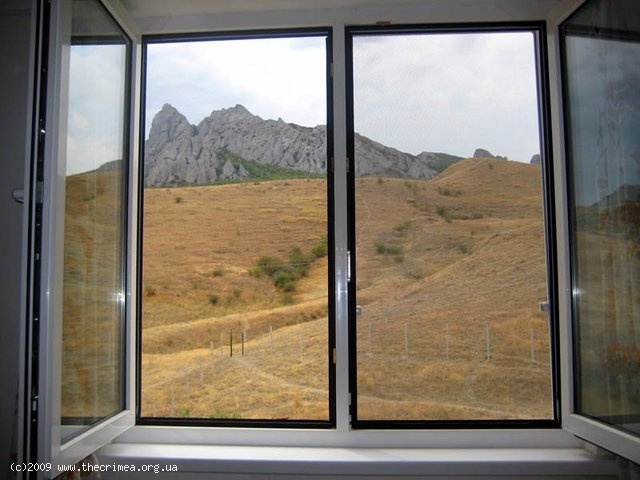 Open the windows and take a deep breath of fresh mountain air! 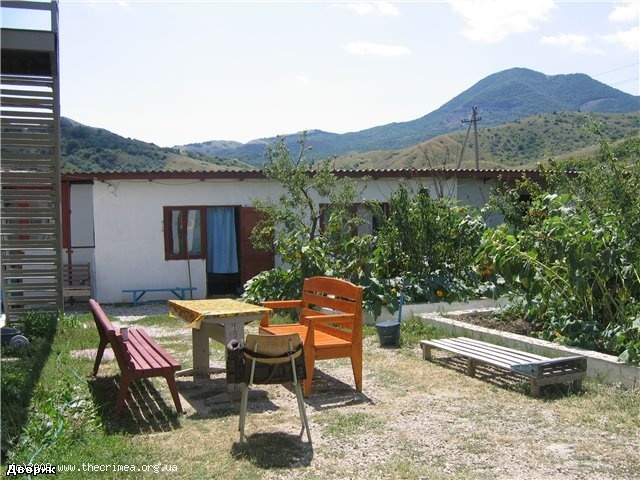 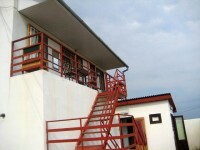 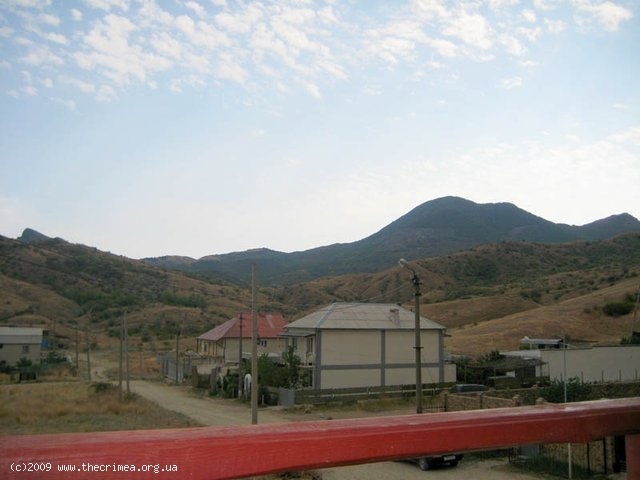 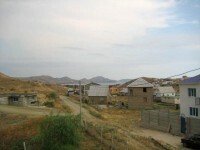 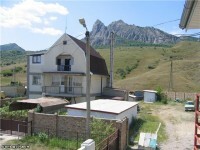 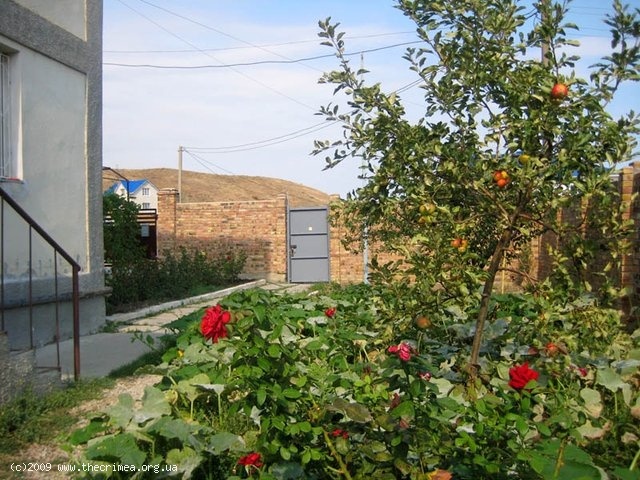 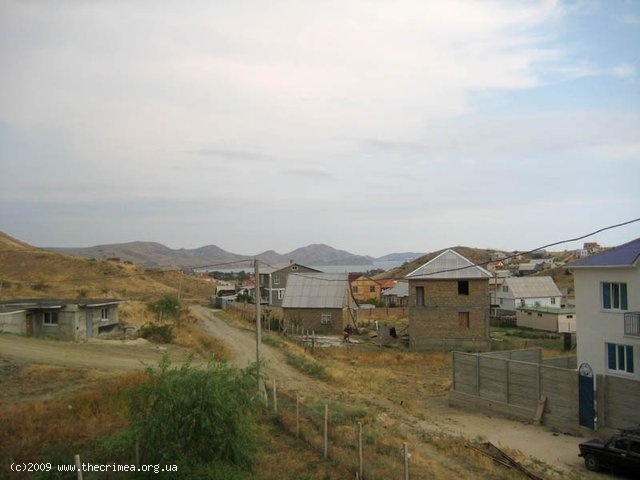 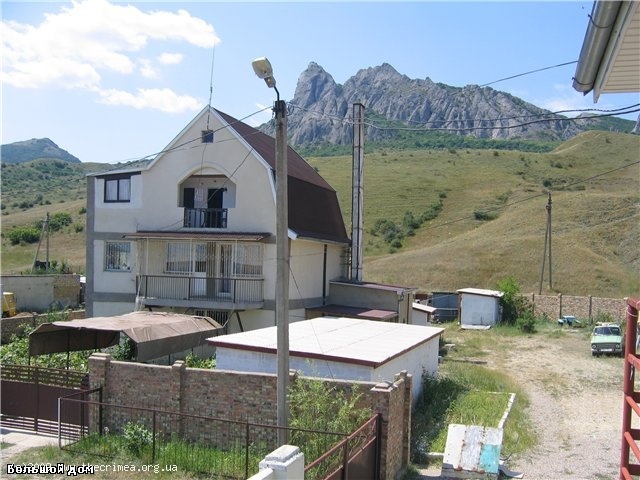 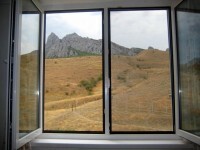 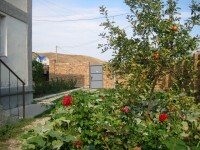 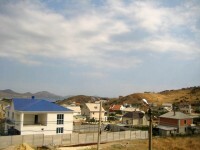 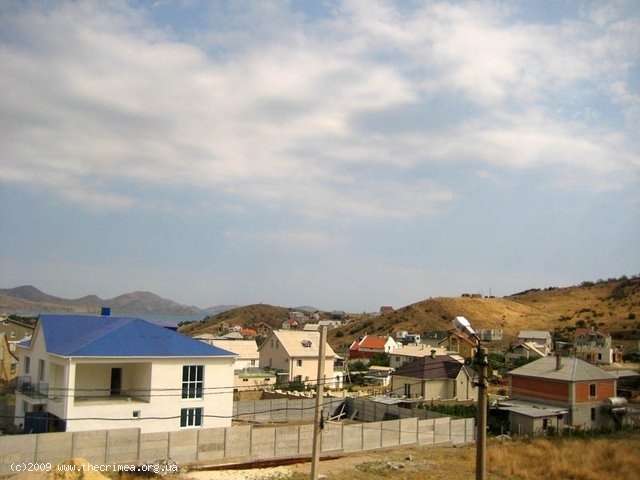 The House is situated on a hill and offers stunning view of Kara-Dag. 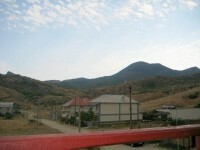 The beaches of the Koktebel Bay are only a 20-25 minute walk down the road. 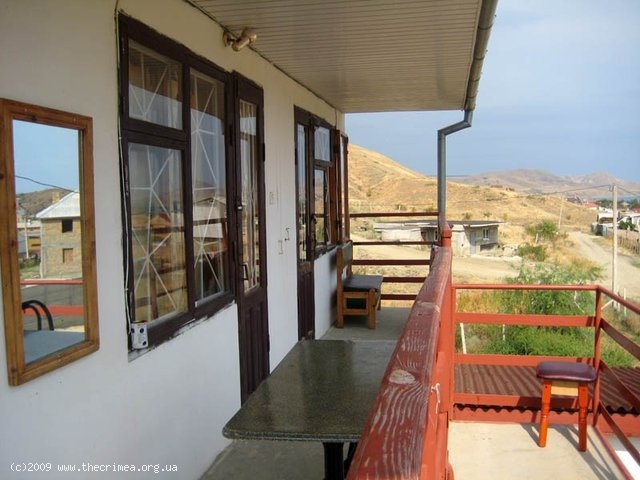 This is an ideal getaway for both hiking lovers as well as for those looking for seaside vacation rentals at budget prices. 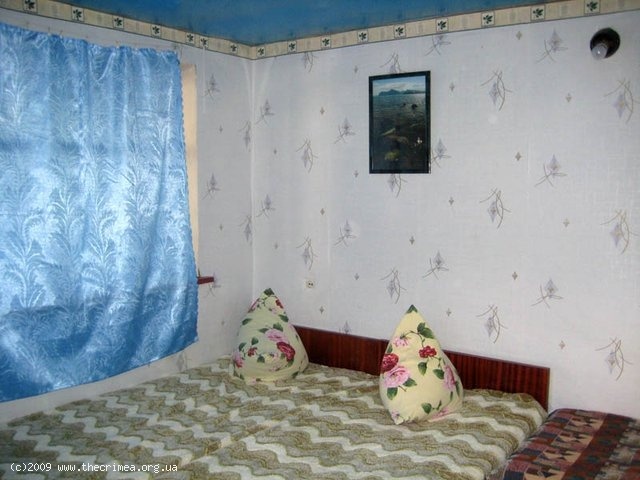 Standard bedrooms can sleep 2-4 guests. 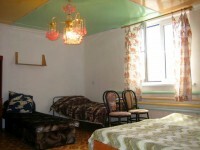 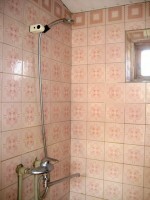 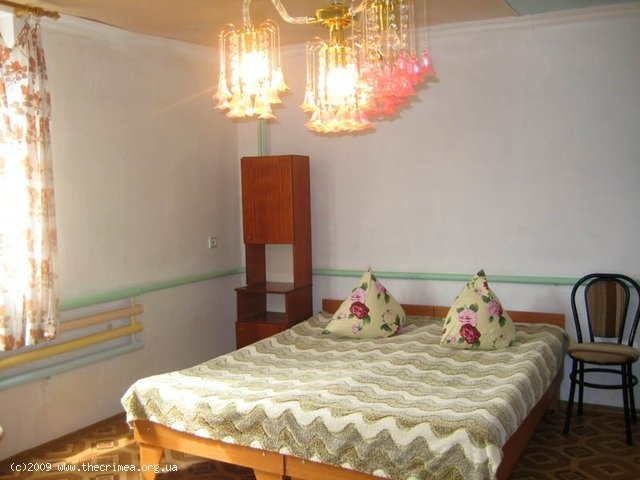 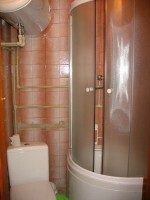 All the rooms are appointed with twin or queen size beds, wardrobe, table and chairs. 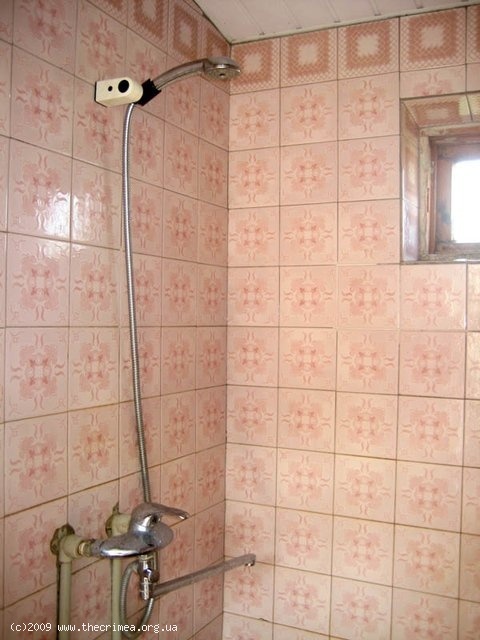 Property amenities include shower cubicles (shared), well-equipped kitchens with fridges, gas stoves that our guests can use to fix their meals etc. Broadband WiFi high speed Internet is provided at a nominal fee. The House has a large private backyard & garden surrounded by stone walls with an outdoor BBQ grill (wood supplied), tented common & dining area, patio furniture w/chairs etc. 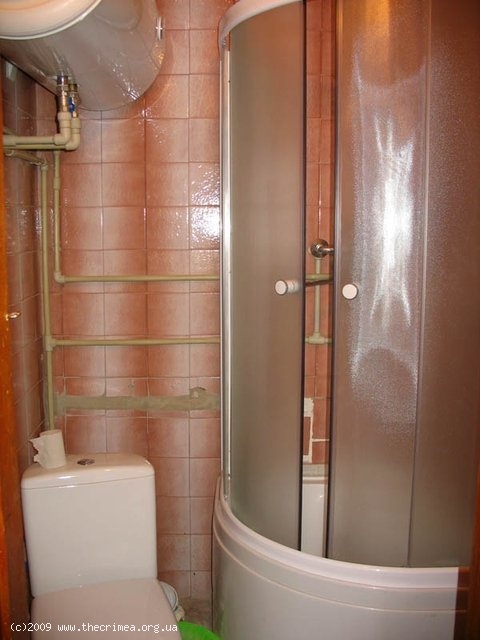 There is a free parking lot.